Back on November 8, 2017, Bitcoin (BTC) reached an incredible value of $7596.17. Many people were smiling. Me too. But I knew that it would dip. 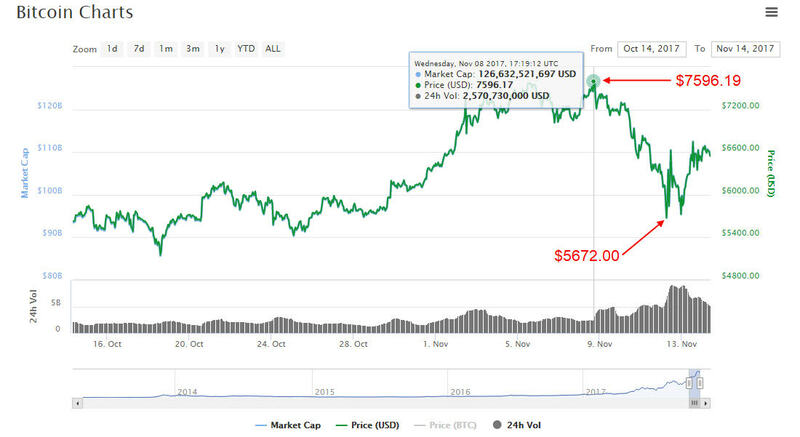 And, then five days later, the price of Bitcoin dropped by $1924 down to $5672; and, when it did, many cryptocurrency investors started to panic. That is the last thing that you want to do! It is almost as if they had forgotten, volatility is high in the cryptocurrency marketplace. These things are going to happen. Bitcoin isn’t going anywhere. The wise thing to do – and what will give anyone a reality check about Bitcoin – is to look at what it was valued at three months ago, a year ago, and then ask yourself is its value increasing? Yes! Have there been dips in value? Yes! Yet, even in those dipping periods has its value dropped below what it was six months ago or a year ago? No! So, the value of Bitcoin is on a “wavy” upward climb. So, what to do? Hold your Bitcoin for the long-term! Given the cancellation of SegWit2x – a Bitcoin fork that would have increased the size of the Bitcoin data block from 1MB to 2MB – many saw the value of Bitcoin Cash increase and the value of Bitcoin decrease. (There are those who believe that Bitcoin Cash is the real Bitcoin, I do not). But the people (you and I) have spoken. Bitcoin reigns supreme. The value of Bitcoin is doing what it ALWAYS does, it rebounds and it is going back up! Today, as of this writing, Bitcoin is up to $6638.23. Given that $6638.23 value today, what was the price of Bitcoin three months ago this time? It was $4143. What was the value of Bitcoin exactly a year ago this time? $705! So is Bitcoin a good investment? Yes? Will the price of Bitcoin be higher than it is three months from now or a year from now? Yes! This is how one should be thinking. Is Bitcoin priced too high to buy? No! That’s nonsense and anyone who tells you that does not understand cryptocurrency. You do not have to buy a full Bitcoin. 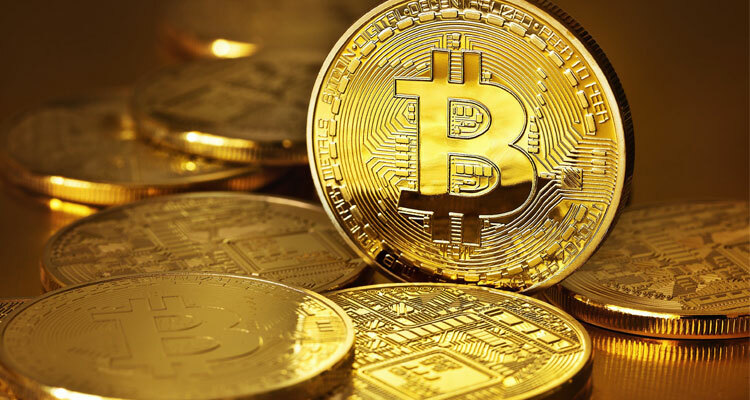 You and buy a fraction of a Bitcoin and as your circumstances permit, you keep adding on to it until you have a full coin. Then work on buying more. If all you had was $100 – and Bitcoin is valued at $6600 – you can buy $100 worth of Bitcoin. Even with an amount that small, a year from now that $100 investment will be much more. But for those who are of limited means or on a budget, buy a fraction of a Bitcoin and each payday buy another fraction worth. When you get your tax refund, invest all or a portion of it in Bitcoin and then hold it for the long-term. DO NOT panic over the years ahead if you see peaks and dips in the Bitcoin marketplace. That is NORMAL. Look at what your investment brings you three months, six months, or a year from now. I believe Bitcoin will approach the $10,000 mark by the end of the year! Come back to this website and check me on that. Previous ArticleA Concern. But It Is Mine Only.